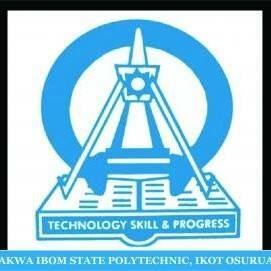 Akwa Ibom State Polytechnic, Ikot-Osura Hostel Accommodation Application Form, Fees and Payment Guidelines for all Part-Time and Full-Time Students for 2018/2019 Academic Session. The Management of the Akwa Ibom State Polytechnic, Ikot-Osura has commenced the sales of hostel application forms to interested full time and part-time students seeking to secure accommodation inside the polytechnic campus for 2018/2019 academic session. Students who are interested in securing a bed space in the hostel are advised to pick their forms at the hostel manager’s office for subsequent allocation of bed space. OR Pay N25,000.00 at resumption of first semester and Pay the balance of N5,000.00 at resumption of 2nd semester. Service charge of N1,700.00 will be paid to the head porter at check in. Affordable meal at students’ cafeteria and lots more. Rush and book your bed-space now as limited spaces are available. Bed spaces are allocated on first come first serve basis.